met in the French Alps and bonded over their shared love of winter sports and toffee-flavoured vodka. Sometime between their 5th and 16th vodka shot, inspiration struck! Why not combine their love of drinking with some serious business acumen and start up a booze business?! They ran a flavoured vodka business together for nearly 15 years with great success. And then Will’s World War 2 hero grandfather passed away. When he was going through Skip’s belongings he came across his old wartime diary and, in it, a secret gin recipe. Despite a long history working in the drinks game for ‘the other white spirit’, Skip had never told Will distilling was in his blood. Once they realised Will’s family’s true gin heritage, the duo knew they had to recreate it. 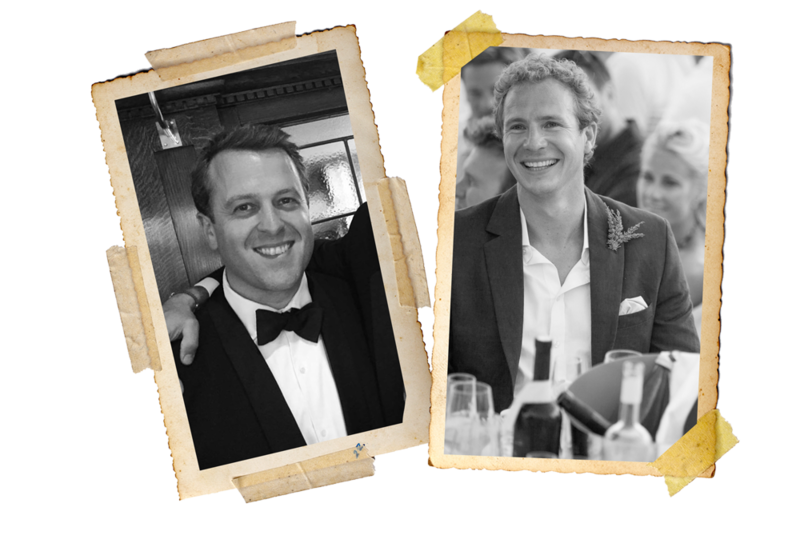 They are proud to live and breathe Hawthorn’s – a gin and a brand Will feels is a fitting tribute to his grandfather.